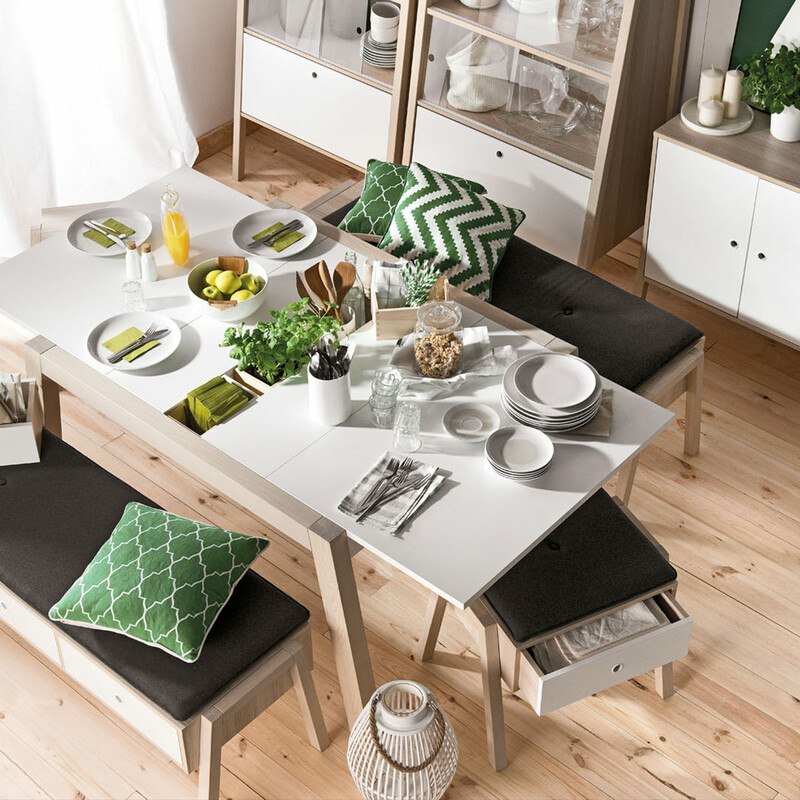 The Spot Extendable Dining Table by Vox is perfect for a growing family, as it can be easily extended to the required length to accommodate additional guests. 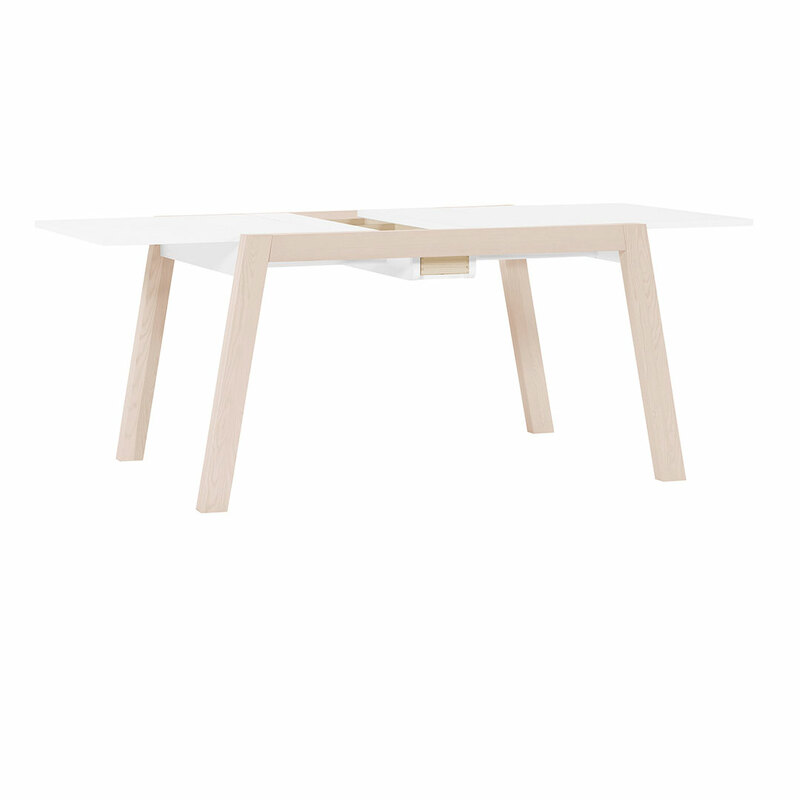 The Spot Extendable Dining Table's distinctive Spot A-frame shape and acacia legs will fit beautifully with any decor scheme and contemporary setting. 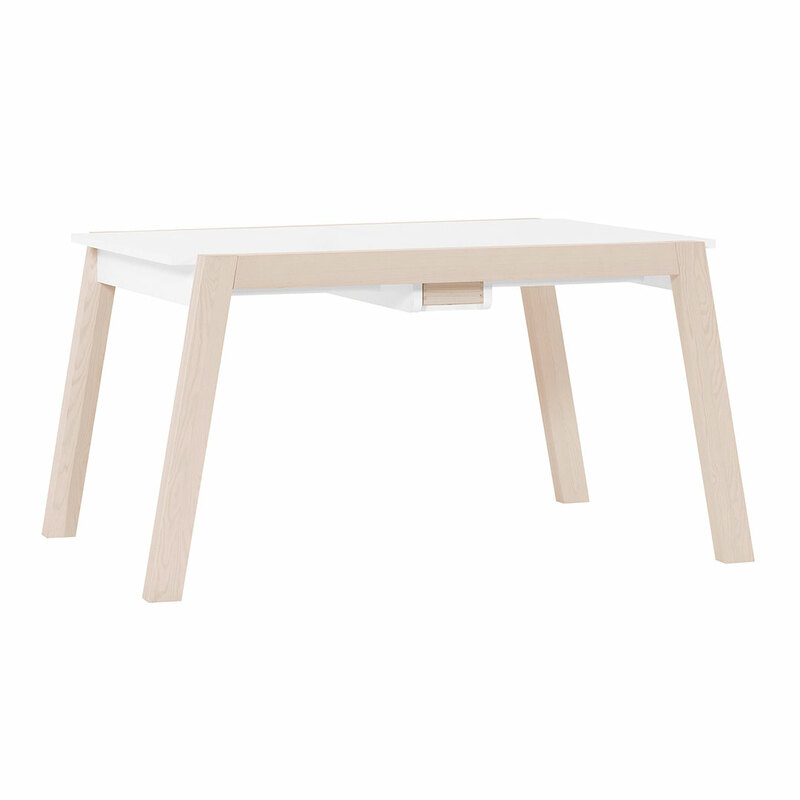 The white tabletop in laminated board is resistant to damage and damp and easy to keep clean. 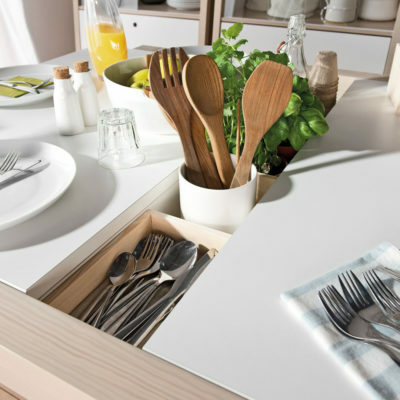 In the first extension, a handy hidden compartment is revealed with space for placing decorations, pot plants, condiments and cutlery. 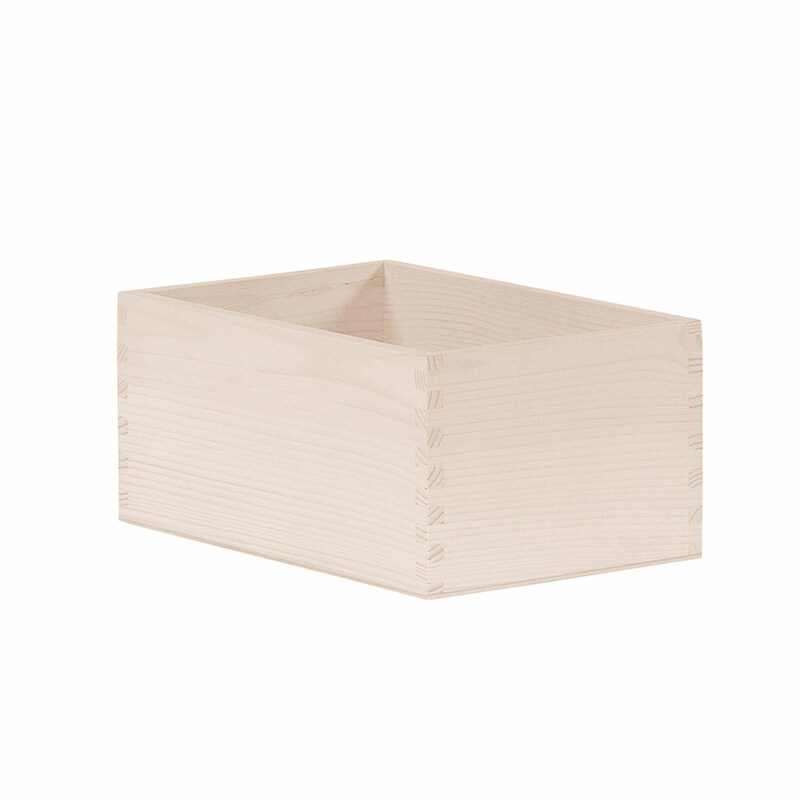 The acacia Spot Boxes fit perfectly inside the open alcove for neat additional storage. 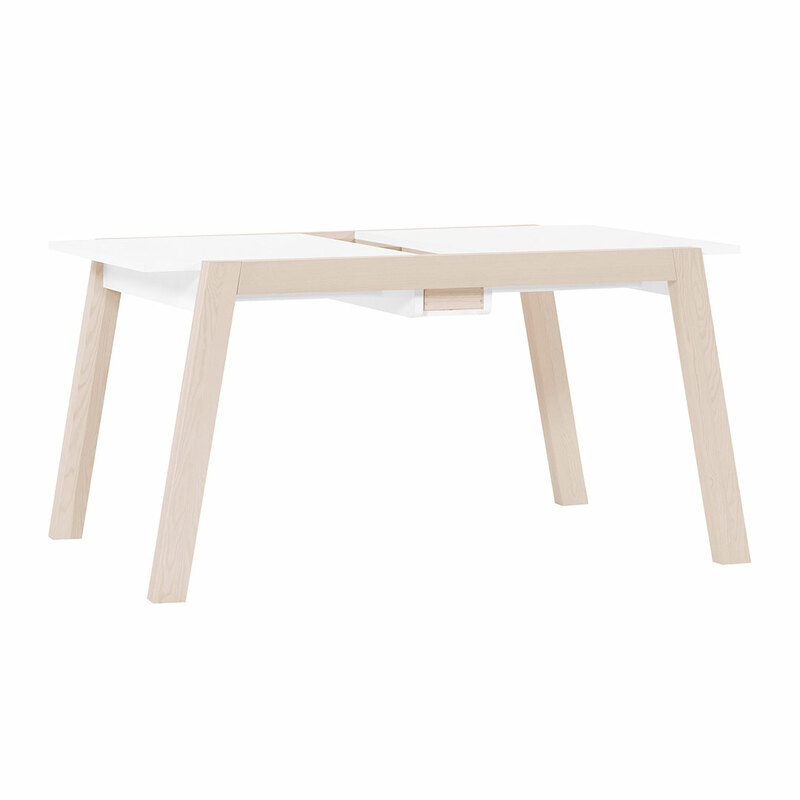 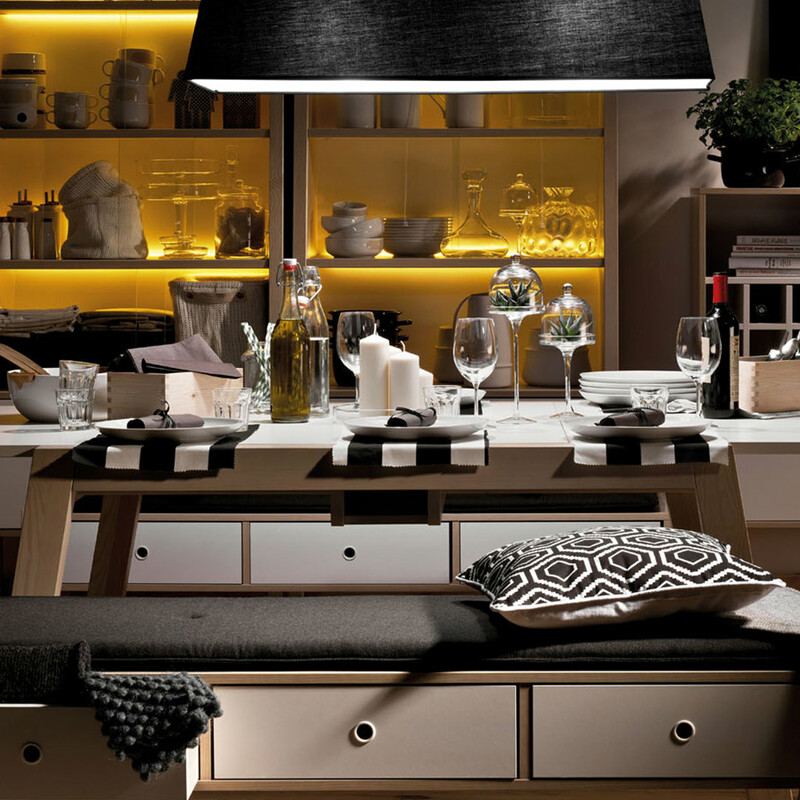 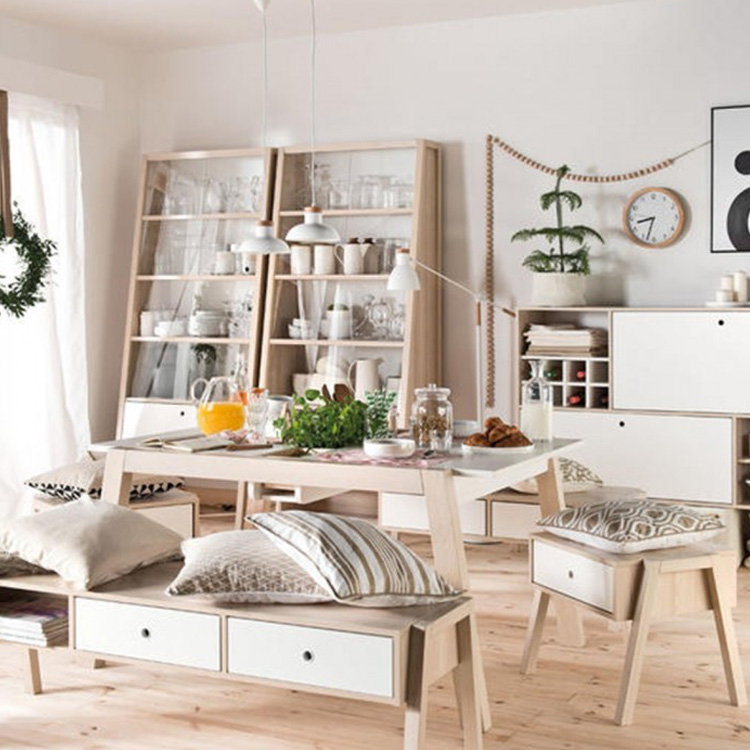 Extend it further to have a larger table top area of almost two metres, which rests comfortably on the robust thick legs that are angled for extra style. 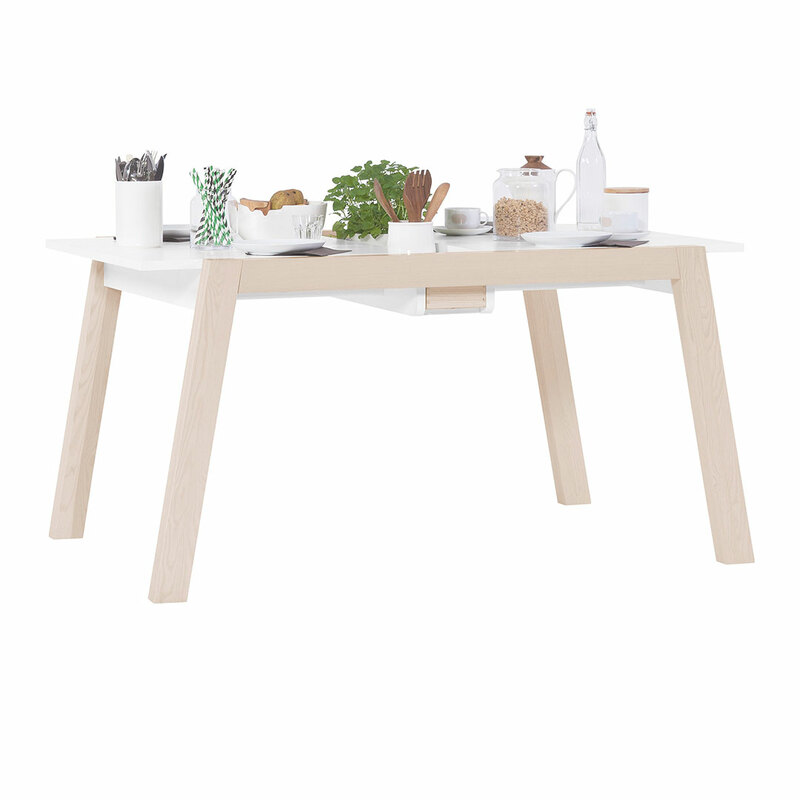 This table will compliment the rest of the Spot home selection.